If you are like most women, you spend a lot of time and attention (not to mention money) on your hair. You wash it, color it, style it, and treat it right. Your hair gets so much attention because it plays such an important role in the way people see you. If your hair isn’t right, you aren’t right. But if your hair looks fabulous, then it can make other people notice you in the best light possible. So if you have recently made a big change with your hairstyle — such as cutting it, coloring it a new color, or going with a daring new hairdo — why not showcase your new hair with a Brazilian keratin hair straightening treatment by Maria Teixeira? What Brazilian keratin hair straightening therapy does is to make your hair look straight, flat, and strong. It’s one of the easiest yet most dramatic ways of highlighting your new hairstyle so you can show it off to your family, friends, and co-workers. 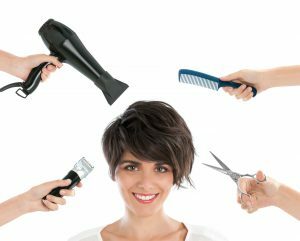 In just one short hair appointment at your local professional hair salon, you can showcase your new hair so you can show it off for maximum effect. A new color will look more dramatic when your hair is long and straight. A shorter style will look more stunning if you let your professional stylist straighten it too. Let’s face it, girls: The whole reason you went with a new hairstyle in the first place was to get noticed. Maybe you got tired of nobody ever really seeing you. Or perhaps you wanted to catch the eye of a special someone. Getting your new hair straightened with a Brazilian keratin treatment will give you the results you want. You will absolutely get noticed when you walk into your home, your office, or your next social event with the kind of straight, glamorous hair that is guaranteed to turn heads. Whatever your reasons for changing your hairstyle, give it the glamor your hair deserves by showcasing it with a Brazilian keratin hair straightening treatment by Maria Teixeira at your local professional salon.